This entry was posted on 22nd May 2018 by WoodBlocX. The weather has been spot-on recently and for most of the UK the upcoming Spring Bank Holiday weekend is looking sunny and warm. 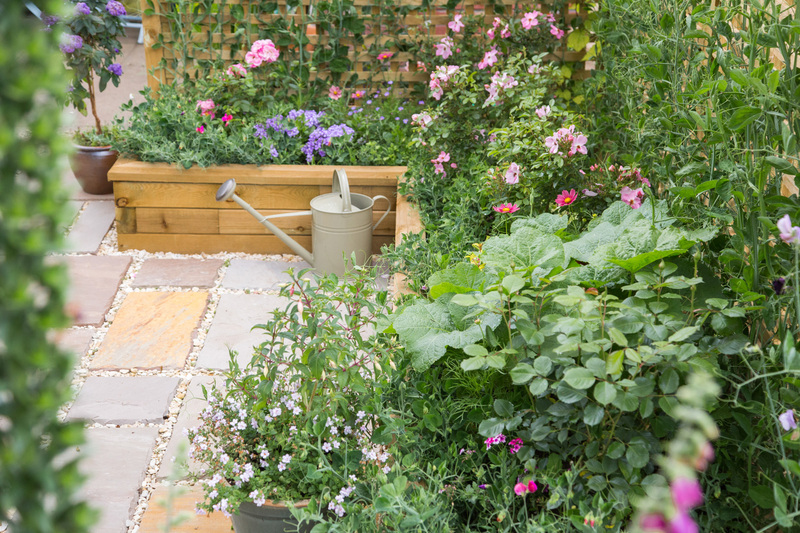 If the coverage of the RHS Chelsea Flower Show has got your creative-garden-juices flowing and if you, like many others, prefer to dodge the crowds during the bank holiday and stay at home to get vital jobs around the house and garden underway then we have some ideas to get your creative-garden-juices flowing. Below you will find ideas and inspiration for all different garden sizes based on our customer designs. Most have used our FREE DESIGN SERVICE to ensure they make the most of their space and get exactly what they need, others either pick a pre-determined size to suit them from the kits available on our website or used our handy calculator tool. 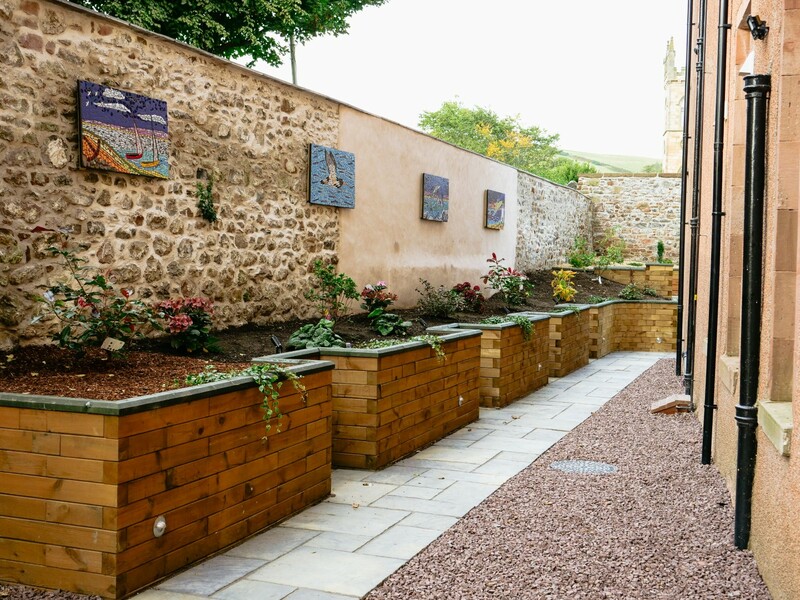 A small garden, patio area or even a front garden can be transformed in less than a day thanks to our simple and versatile system. 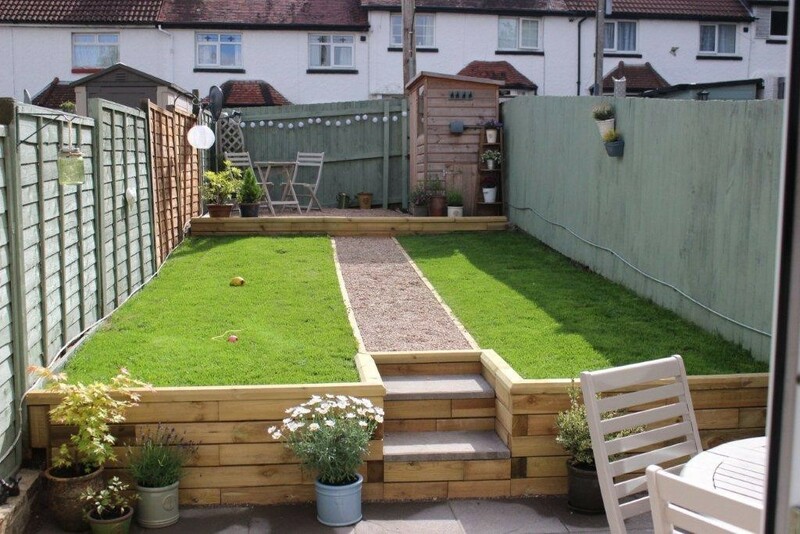 Incorporate raised beds, retaining walls and steps to transform a small space into an easy-to-maintain and functional space. Or upgrade plastic planters to WoodBlocX for longevity and style. 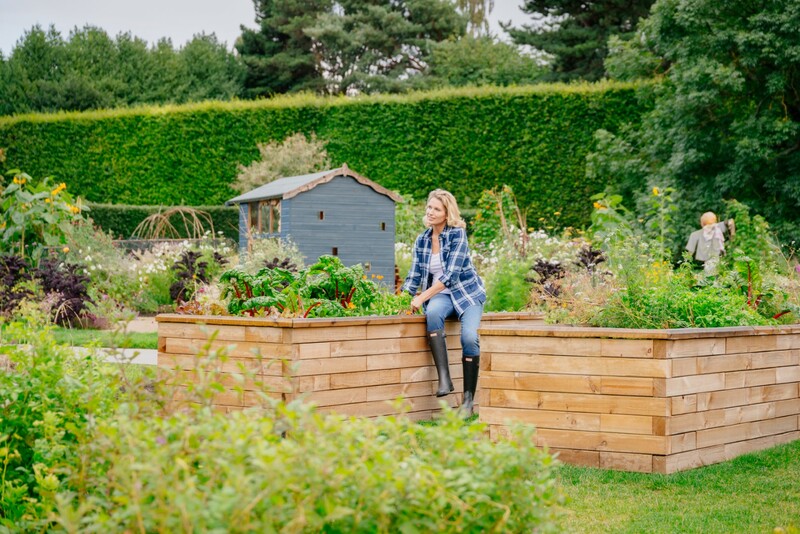 Fill your new raised bed with simple planting, sticking to a colour scheme and mixing it up with ornamentals and herbs. 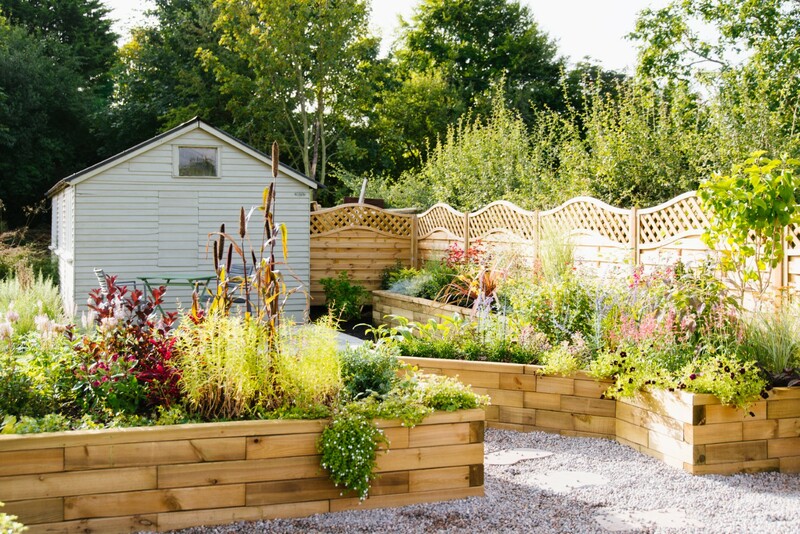 A slightly bigger space gives you more options; you can create a separate area for growing your own vegetables, fruits and cut flowers in easy access raised beds built to a height to suit you. 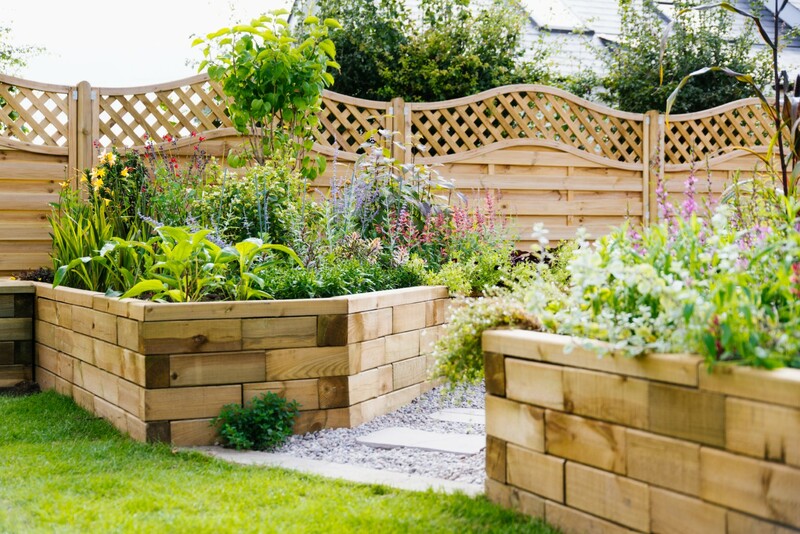 Or you can create something totally bespoke that fits your garden and your needs perfectly, whether it’s a combination of planters, retaining walls, steps and curbing. Use our free design service and we’ll help you get the best from your space. 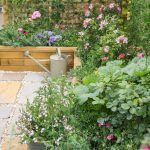 Whether your garden is fully established and you’re looking to update a tired area or if you have enough space to create different areas of interest, consider creating different areas for entertaining, growing and relaxing. This will make updating the space much simpler and you can tackle it in smaller and more manageable sections. 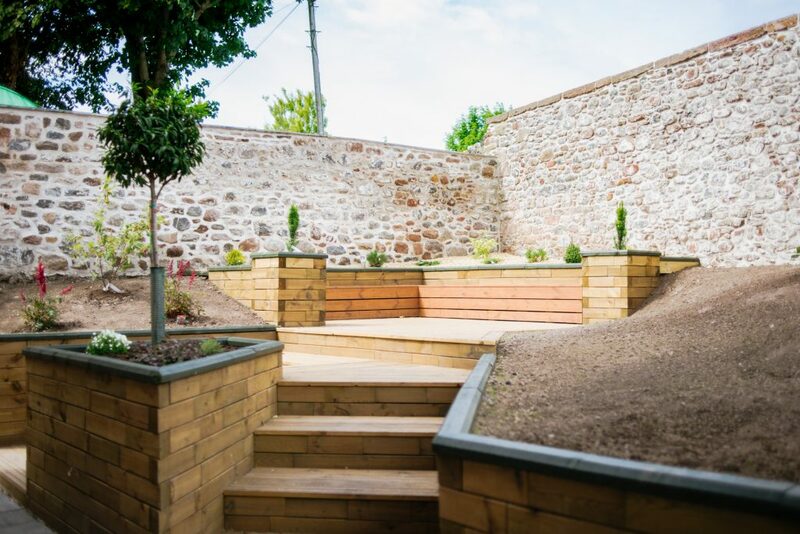 A large corner area can be utilised for planting and seating and the introduction of angles and curves can completely change the dynamics of the garden, create beautiful large planters, or make smaller changes here and there to upgrade and update certain areas.